Are you looking for a job, or a change of career? Look no further! 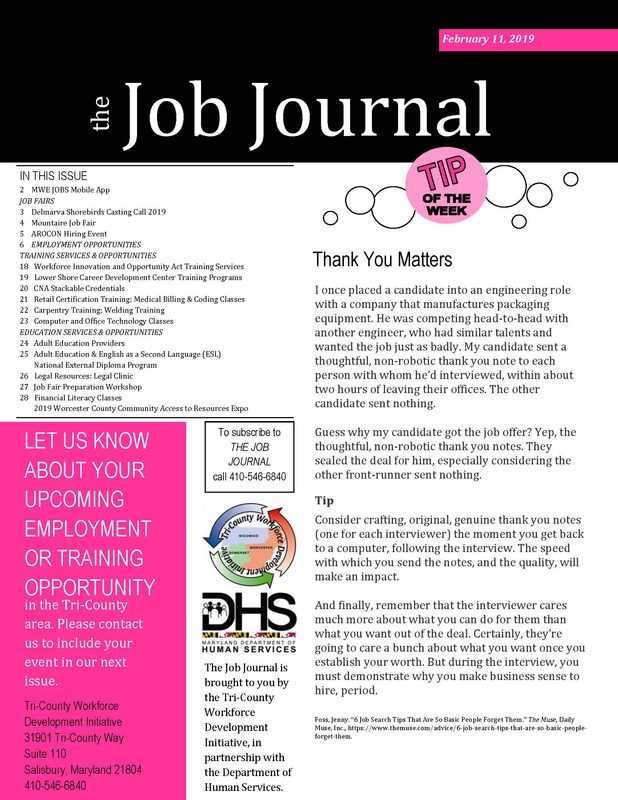 The Job Journal is a weekly publication giving you tips, current job fairs and job listings, training services and opportunities, as well as education services and opportunities. If you would like to have this publication sent straight to your inbox, or if you are an employer and would like to see your information listed- please send your request through the Contact Us link at the top of the page. To view the full document, please click on the image below.